Benefits of Regular Commercial Winter Maintenance - GDB Landscaping Ltd. Looking to save some time this winter while still keeping your business safe and accessible for patrons? Working with a professional landscaping and snow removal contractor may be your best option. In addition to having a reliable alternative to servicing your property yourself, here are few more benefits of working with the pros! 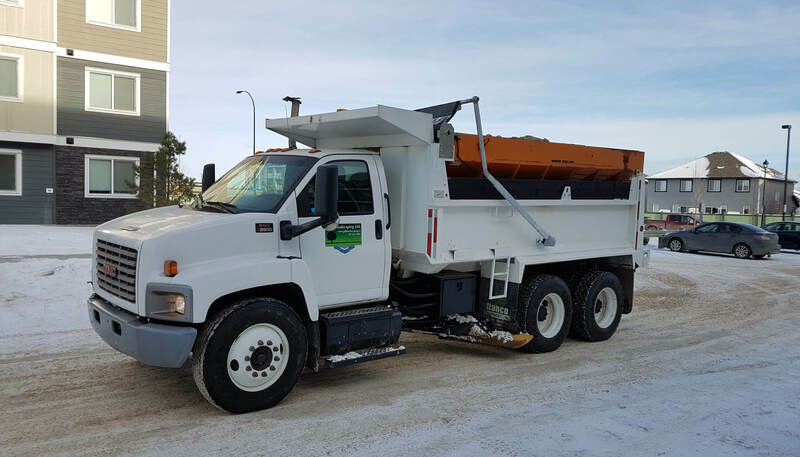 One of the most popular reasons for partnering with a commercial snow removal company is the speed with which your parking lot, walkways, and entrances can be cleared. Professionals will have the right equipment on hand to handle a variety of circumstances, meaning you can spend less time worrying about your exterior and focusing on running the day to day aspects of your business. While you may be able to hire professionals or individuals to handle “one offs” the reality of seasonal demand often means that these kinds of bookings get overfilled, making it hard to rely on in the case of a sudden blizzard or heavy snowfall. Having an established relationship and contract will give you peace of mind in the event of any difficult weather. Working with a contractor with access to the right equipment means you’re less likely to experience any accidental property damage, or bodily injury from incorrect methods being used. As well, you also get the obvious benefit of your property being safe for your customers to navigate, reducing the potential of slips and falls. For those in the Edmonton area, you may be aware that the city has strict bylaws where snow removal is concerned. Making sure you have regularly scheduled maintenance is a great way to make sure you avoid any fines or citations. To learn more about GDB’s comprehensive list of winter services, contact us today!